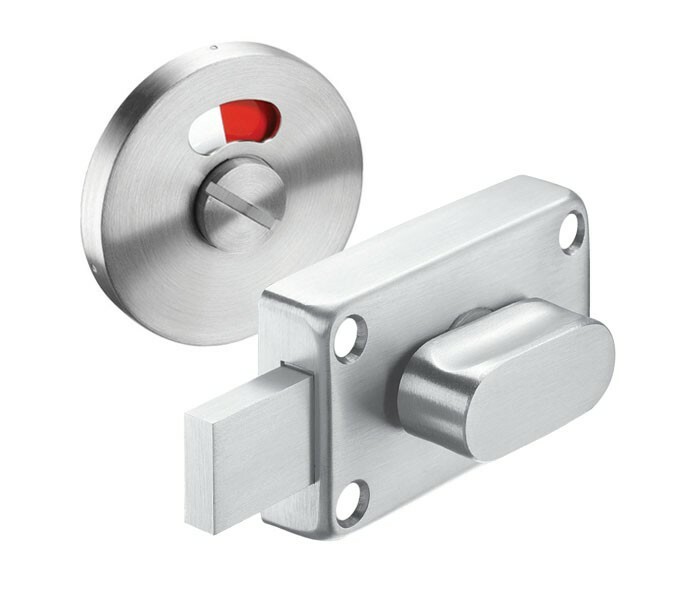 These cubicle door locks are the perfect choice for those seeking low-cost toilet cubicle locks with indicator and emergency release. The exterior is manufactured from grade 304 satin stainless steel for a contemporary finish and enclosed within is an aluminium inner indicator plate. This product boasts an LRV of 45 and features a red and white indicator to ensure a distinguishable colour contrast when cubicle is vacant and occupied; assisting visually impaired users. 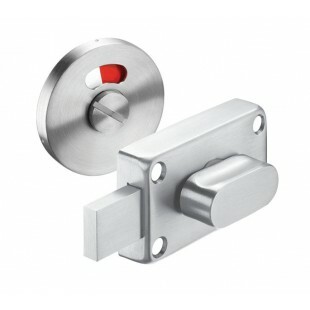 These cubicle door locks are sold singly and include the lock, indicator and surface fitting screws. If fitting this product to a new door a keep of your choice can be ordered separately, if required.